NEORC Symposium & Trade Show just One Week Away! 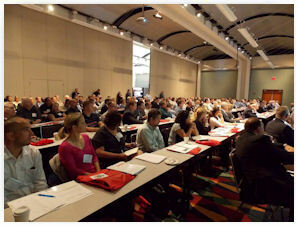 In just one week – Thursday, September 18, 2014 - the 8th Annual New England Organized Retail Crime Symposium and Trade Show will be held at the DCU Centre in Worcester, MA. Don’t miss any of the fantastic speakers representing areas of Retail ORC Management, Local Law Enforcement ORC investigators, Federal Investigators and other industry expertise’s! Also, come to find out who will win the Law Enforcement Partner of the Year Award, the ORC Case of the Year and Loss Prevention Person of the Year! This event will again be very well attended by law enforcement and retailers from around the country with an emphasis on continuing to build partnerships between retailers, law enforcement and legislators with the help of the over 25 vendor partners that will be on hand to show the latest in technology and ideas surrounding loss prevention measures and investigative aids. Those solutions providers will also be on hand to listen to what challenges participants face in their day to day, which will lead to enhancements for years to come! Please click the link here and register today, look at the agenda and see which solutions providers will be in attendance! Any questions – please contact Kevin Plante, LPC – Retailers Association of MA Loss Prevention Committee Chairman and Symposium Master of Ceremonies at Kevin.plante@cvscaremark.com. Hope to see you in Worcester! NYPD Band Opens New York Metro ORC Alliance Kickoff Event today in NYC - More D&D Daily Coverage Coming Next Week! Today, the New York Metro Organized Retail Crime Alliance (NYMORCA) held its kickoff event in NYC - the first of its kind for the Big Apple. The NYPD's Jazz Band kicked off the event this morning with a roaring drumline performance. Check out the cool video! Thank you to Blue Montez, Director of AP & Risk Management, American Apparel, for submitting the footage. Learn more about the NYMORCA here.